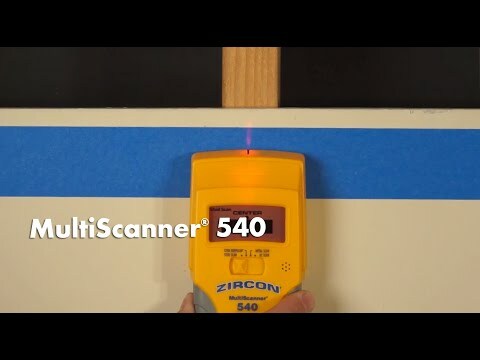 The Zircon MultiScanner® 540 multifunction stud finder locates the center and edges of wood and metal studs and joists behind walls, floors, and ceilings. It also locates metal as well as live AC electrical wiring. A 4-mode switch makes it easy to change functions, while the ultra-bright display screen, SpotLite® Pointing System, and audio tone all indicate the location of the target.